On Tuesday morning, the Humboldt County Sheriffâ€™s Office and Humboldt County Drug Task Force searched two properties in the Woods Ranch area of Redway. Officers located a commercial indoor marijuana-growing operation at one of the locations and arrested a female subject for cultivation and possession for sales of marijuana. The female was identified as Christina Mary Dowling, 44, of Redway. 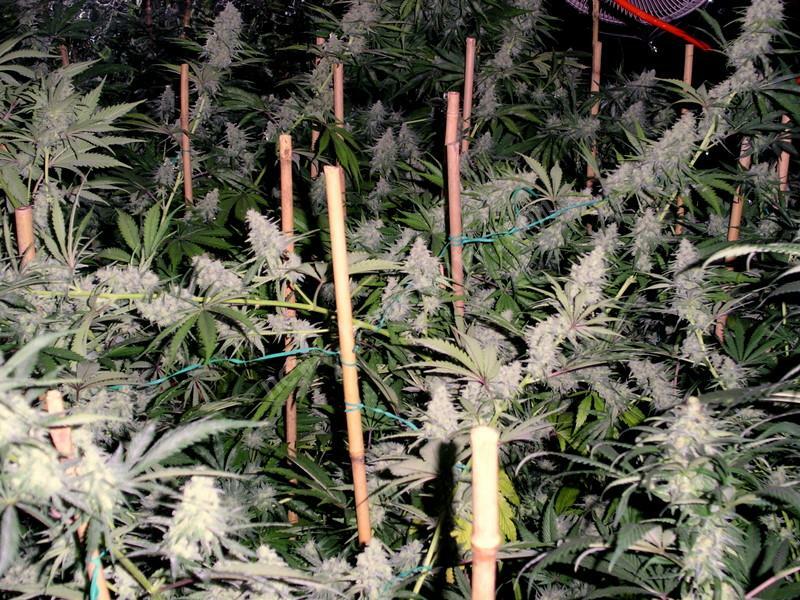 Officers seized 1,115 marijuana plants and a 45-kilowatt diesel generator that was supplying electrical power to the indoor growing operation. A residence associated with the marijuana-growing operation was also searched, though nobody was located at the site. hey ! we had a train wreck last year in our garden ! it became a monster !! 9 foot tall... 800 grams of fine weed... this is california' best ...believe me.... and i am used to smoke some nice Amsterdam stuff !! i am from belgium !!! california !! your strain is fantastic !! beyyyyy marc !